Inspect It Neil Home Inspections, owned and operated by Neil Kipnis, is a home inspection company in New Jersey. With over 40 years of experience in the real estate industry, we are qualified to help you understand your future home and make the best decisions possible before you decide to purchase. We have one very important priority – putting our experience and skills to work for you, the client. We treat every new client we work with like family, making sure you are comfortable enough to trust us during the inspection and purchase of your new home. We take our time during each inspection, giving you and the home our undivided attention. Call us 7 days a week to ask your questions and schedule an inspection. When deciding to buy a home, you need to prepare yourself with all of the information about the home’s condition, required repairs and maintenance, and general home ownership. Feel free to ask us any questions you have so that we can address your concerns about certain issues and give you our professional, unbiased advice about the property. On the day of your inspection, join us so that we can explain the home’s systems to you in ways that you can understand. We will always be honest and thorough in our answers to your questions. Inspect It Neil uses Homegauge Software to generate detailed and user-friendly home inspection reports. When yours is complete, you will receive an email which contains a link and login information for viewing your report on a secure site. In the report, you will find a comprehensive explanation of the home and any issues we uncovered during the inspection. A Create Request List (CRL™) tool is included in this report. With the CRL™, you will be able to put together a list of the repairs you’d like to see in the home using our findings. The CRL™ can then be shared easily with your realtor and the seller. 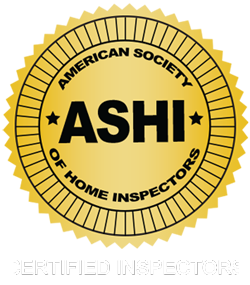 Contact Inspect It Neil today if you reside in New Jersey and are looking for a friendly and experienced home inspector.